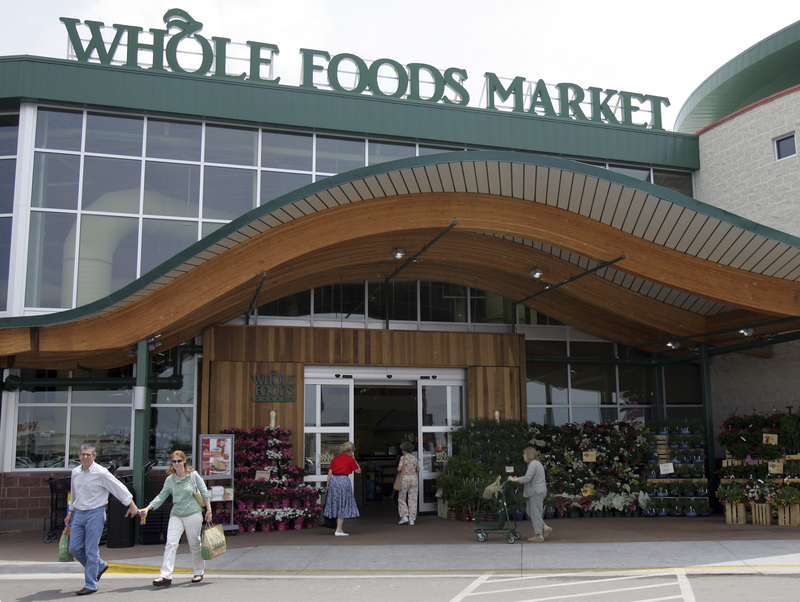 HOUSTON (CN) – Whole Foods Market investors urged the Fifth Circuit on Thursday to revive their securities fraud class action accusing the grocer of inflating its share price by counting revenue from mislabeled and overpriced products. Founded in Austin, Texas, in 1980 with the merger of two local health food grocers, Whole Foods steadily expanded over the next three decades by buying out 15 competitors. Its focus on organic food proved to be a lucrative niche market and its profits topped $5 billion in 2014. The king of online retail, Amazon, bought Whole Foods for $13.4 billion last year to expand its brick-and-mortar business. But the buyout did not resolve Whole Foods’ pre-merger legal troubles. Those came from its admission in an $800,000 settlement with California in 2014 and a $500,000 deal with New York City in 2015 that it had mislabeled some packaged products to show they weighed more than they actually did. Whole Foods co-CEO Walter Robb promptly admitted the company made some pricing mistakes but assured them it was not intentional. “I want to emphasize these were not systematic, but rather caused by inadvertent human error. The audit includes errors that were favorable to customers as well,” Robb said during a July 2015 conference call with investors, according to court records. Robb said on the call that sales had dropped at its stores due to media coverage of the overcharging, causing the share price to drop $4.74 to $36.08. Whole Foods shareholder Yochanan Markman brought a securities fraud class action against the company in Austin, Texas, federal court in August 2015. The Employees’ Retirement System of the State of Hawaii, comprised of 115,000 members, replaced Markman as lead plaintiff two months later. U.S. District Judge Lee Yeakel dismissed the lawsuit in August 2017. The Hawaii retirement fund appealed to the Fifth Circuit, which held a hearing Thursday at the Houston federal courthouse. The fund’s attorney Susan Alexander, partner in the San Francisco firm Robbins Geller Rudman & Dowd, told the three-judge panel that Whole Foods had made false earnings reports from 2013 to 2015 because it had included the $127.7 million from the alleged overpricing scam, knowing it had not actually earned those proceeds. Alexander said under the generally accepted accounting principles followed by the U.S. Securities and Exchange Commission, companies can only report what they earn, not their revenue, and the money was not earned since Whole Foods put less food in packages than represented and still collected the extra money. U.S. Circuit Judge Catharina Haynes asked Alexander why the retirement fund had sued over pricing errors that had increased the value of its Whole Food shares. “You’re the owner. You benefit from the overcharging. Maybe this should be a consumer suit,” said Haynes, a George W. Bush appointee. “It’s about the value of the company,” Alexander replied. U.S. Circuit Judge Jennifer Elrod weighed in. “So they wouldn’t have kept it in their portfolio?” Elrod asked. Whole Foods’ attorney Gregory Casas urged the panel to affirm the lower court’s dismissal. He works in the Austin office of Greenberg Traurig. He said the investors could not prove loss causation, an element needed to win a securities fraud case. Casas said Whole Foods executives did not disclose any new information about the product pricing issues, or admit any wrongdoing, in the July 2015 conference call that sent the share price tumbling – they only said it was a risk factor that could affect the share price. “Acknowledging the occurrence of a known and disclosed risk factor does not establish loss causation,” Casas states in a rebuttal brief. The investors claim Whole Foods erred in not restating its earnings in light of the overpricing revelations. But Casas told the panel the lack of hard numbers for the transactions in which Whole Foods overcharged customers negates any fraud claims. “We have no idea how many times it happened,” Casas said. The judges did not say when they would rule on the appeal. U.S. Circuit Judge Carolyn King rounded out the panel.